GAPS™ stands for Gut and Psychology/Physiology Syndrome. 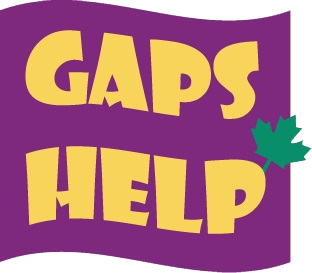 GAPS is a condition which establishes a connection between functions of the brain, the digestive system and the immune system. The practical applications of the GAPS™ Nutritional Program first used for psychological conditions were also extended to other physiological conditions: autoimmune, endocrine, etc. The GAPS™ Nutritional Program is based on theories which have achieved great popularity in the scientific community and been confirmed by various studies. Click to read more about these stuides. The GAPS™ diet focuses on the consumption of natural foods which help to kick start the body’s natural healing process and restores beneficial gut flora (homemade organic broths, stocks, soups, meat, fish and fermented vegetables). It works by removing foods that are difficult to digest and processed products. We have to take the burden off of the digestive system allowing it to heal. My name is Tatiana Baskin and I am a qualified specialist in natural medicine. My path to nutritional practice is not common. Usually most people begin to study and practice natural medicine because they are unable to solve their own health problems with conventional doctors and drugs.